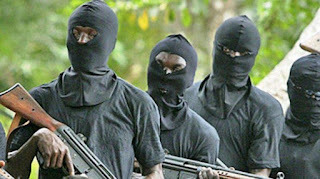 Not fewer than two persons have been reportedly killed on Thursday by some suspected armed robbers during a bank robbery at Ila-Orangun, in Ila Local Government Area of Osun State. The victims of the robbery according to information include one policeman, and a customer who came for transaction when the incident occurred. The robbers numbering about 15 were said to have launched attack on the bank and carted away unspecified amount of money during the raid which was said to have lasted for about two and half hours.